Fives Bronx, that combines Bronx/Taylor-Wilson and Abbey brands, has been awarded a contract for the design, manufacture and installation of a 630 mm ERW pipe mill and finishing line for Kingland Petroleum-Gas Pipeline Co., Ltd., Huzhou, City, PRC. 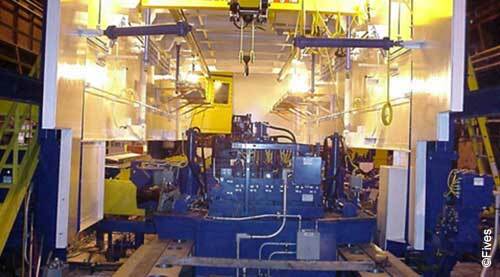 This production line, which was installed in fall of 2004, produces and finishes pipe and casing with an O.D. of 219 mm to 610 mm and wall thicknesses up to 19 mm. Additionally, the line is capable of producing structural and mechanical round pipe and tubing.